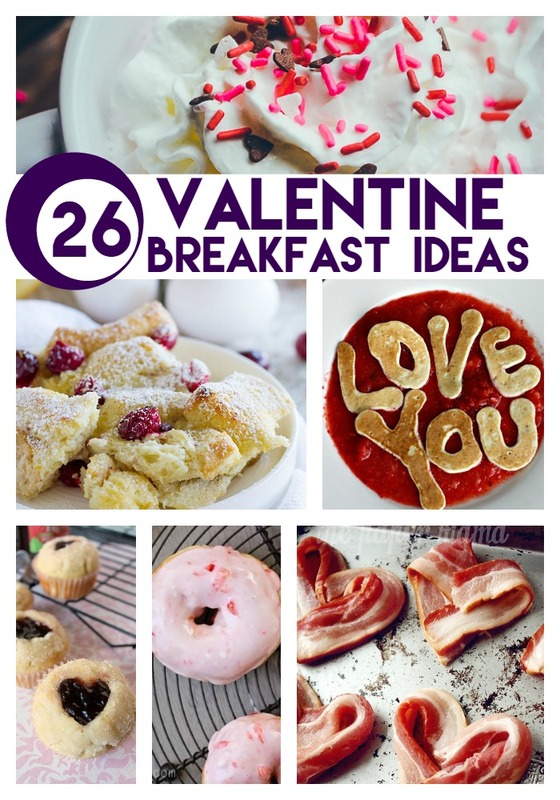 I have the perfect breakfast idea for Valentine’s Day. My boys absolutely loved the idea of heart shaped pancakes. And the best part? 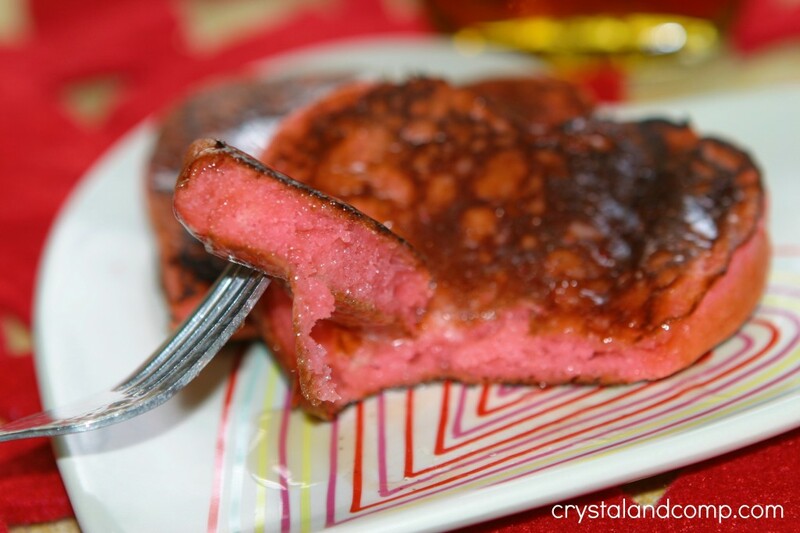 They did not mind that the pancakes were pink. 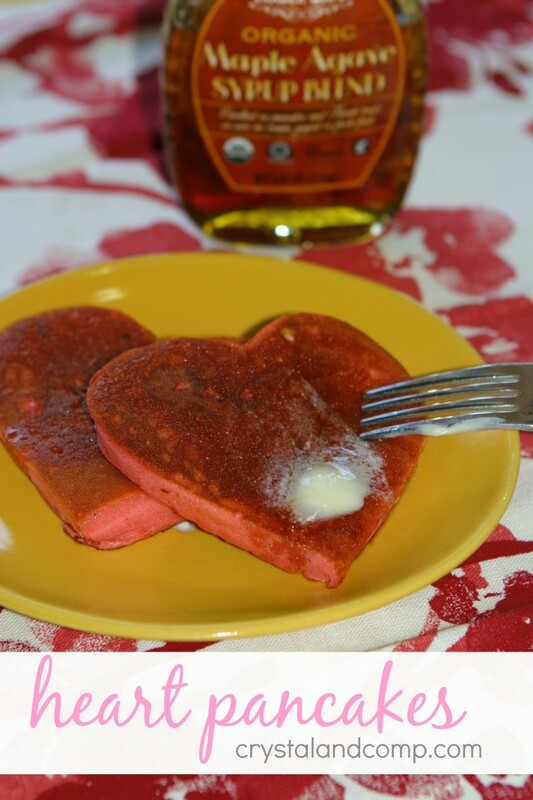 They actually thought that was pretty cool and they want pink, heart shaped pancakes every day now. I am going to show you how easy this is. Whip up a batch of the buttermilk pancake recipe shared above. Add 5-7 drops of pink food coloring. Place the griddle on a burner that is medium-low heat. I keep it between a 4 and a 5 setting. Spray the griddle with non-stick spray. Spray the heart pancakes rings well with the non-stick spray as well (this is key). Cook until the tops of the pancakes are covered in bubbles. You want to make sure the batter is set before you pull the ring off. Slowly remove the heart ring and if none of the batter starts draining you can flip it. Let it cook on the other side. Remove the pancakes from the griddle and top with butter and maple syrup. Devour them. These are so easy and so delicious! 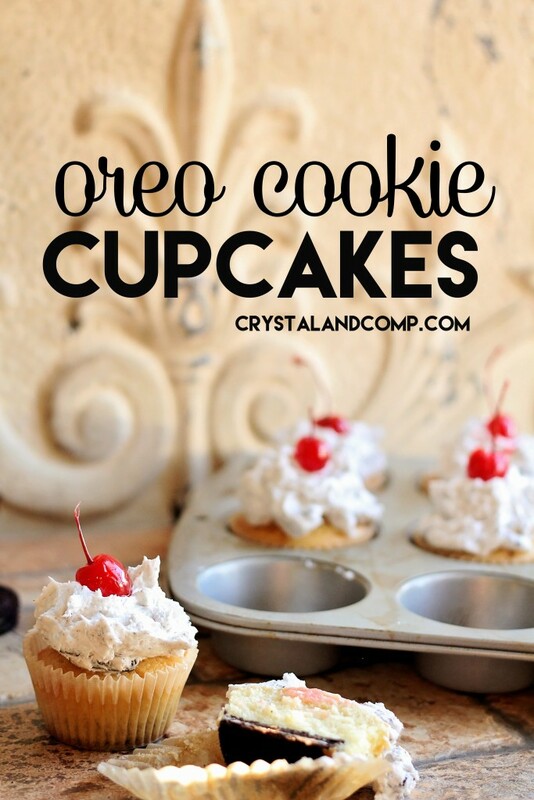 These are adorable and look delicious! Definitely pinning this! Thanks for sharing! 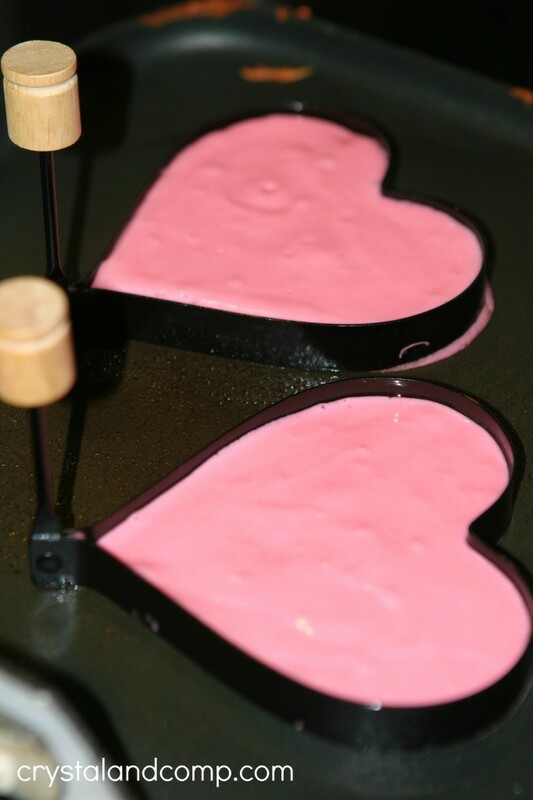 Gina recently posted..Tips and Tricks Linky Party-Valentine Themed Crafts and Anything Goes! I just picked up a pancake ring this week. Thanks for the recipe and instructions! Very fun! These look wonderful. Such a great idea for Valentines! What a sweet way to start the day! 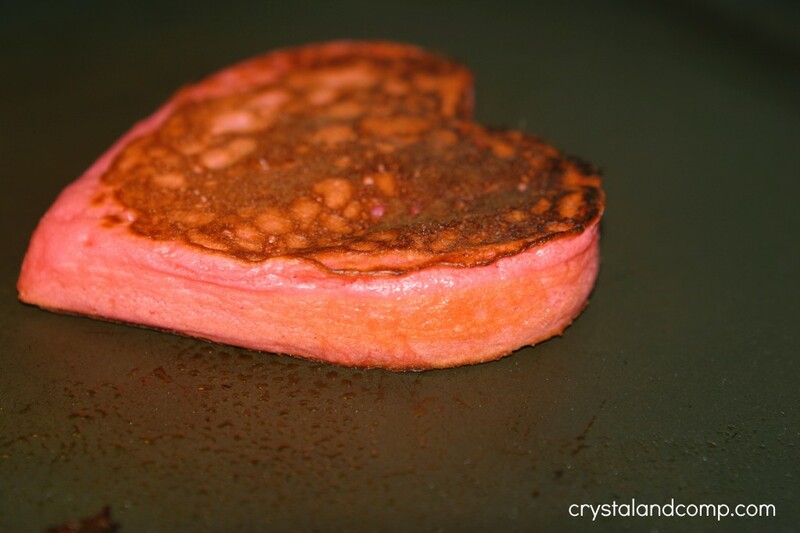 I just love your Heart Shaped Pancakes for a special Valentine Breakfast. Hope you are having a great week and thanks so much for sharing with Full Plate Thursday!